Mason, Travis V.. "Jan Zwicky". The Canadian Encyclopedia, 25 January 2016, Historica Canada. https://www.thecanadianencyclopedia.ca/en/article/jan-zwicky. Accessed 20 April 2019. Jan Zwicky, poet, philosopher, essayist, musician, teacher (born 10 May 1955 in Calgary, AB). Jan Zwicky, poet, philosopher, essayist, musician, teacher (born 10 May 1955 in Calgary, AB). Winner of the Governor General’s Award and short-listed for the Griffin Poetry Prize, Jan Zwicky is among Canada’s most innovative writers and thinkers. Influenced by such foundational Western philosophers as Plato, Herakleitos, and Ludwig Wittgenstein, Zwicky has established a reputation as a thoughtful writer and editor. Along with fellow writers Robert Bringhurst, Dennis Lee, Tim Lilburn and Don McKay, she contributes to an ongoing conversation about poetry and philosophy, especially as they relate to ecological thinking. Zwicky studied at the University of Calgary (BA 1976) and the University of Toronto (MA 1977, PhD 1981). Her dissertation developed a theory of ineffability, that is, reasons for thinking there are forms of understanding that are not linguistic. She has taught philosophy at Princeton University and the universities of Alberta, Waterloo, New Brunswick, and Victoria, where she remains an adjunct professor. Zwicky emerged as an intellectual force on the national poetry scene after a decade and a half of writing poetry and philosophy. Having published four poetry collections in the 1980s — including Wittgenstein Elegies (1986) and The New Room (1989), in which she first makes her philosophical affinities apparent — Zwicky turned her attention to politics, both cultural and environmental. Initially handmade, Songs for Relinquishing the Earth (1996) was eventually published by Brick Books in 1998. In its detailed attention to the natural world and its emphasis on music and philosophy as lyric forms, it has since become Zwicky's signature work of poetry. At the same time, Zwicky was developing a unique polyphonic approach to philosophy. 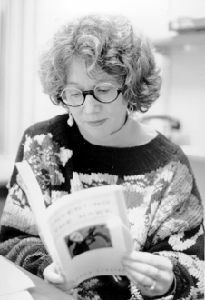 Her first major book-length study, Lyric Philosophy (1992), was followed by an essay that employed a similar structure, “Bringhurst’s Presocratics” (1995). Three poetry collections followed Songs for Relinquishing the Earth: Robinson’s Crossing (2004) (shortlisted for the Governor General’s Award), Thirty-seven Small Songs and Thirteen Silences (2005) (shortlisted for the Dorothy Livesay Poetry Prize and the Pat Lowther Award), and Forge (shortlisted for the Griffin Poetry Prize). Jan Zwicky's philosophical writing takes a unique, polyphonic form. In both Lyric Philosophy (1992) and Wisdom & Metaphor (2003), Zwicky constructs a dialogue between her own philosophical aphorisms on the left-hand pages and excerpts from poems, philosophical tracts or geometric proofs on the right-hand pages. Akibiades’ Love (2015) argues that major philosophical trends of our times, such as analytic philosophy and deconstructionism, mirror the alienated technological world we live in, and proposes replacing them with her more integrated notion of lyric philosophy. While these works trace Zwicky's philosophical understanding of musical and metaphorical thinking, her poetry and essays since Songs for Relinquishing the Earth ground her poetics in the material world of domestic, ecological and musical phenomena. Zwicky is also an accomplished violinist and has performed in chamber groups and orchestras across Canada. Songs for Relinquishing the Earth (1998) won Zwicky the 1999 Governor General's Literary Award for Poetry. She has since been nominated for Wisdom & Metaphor (2003), in the nonfiction category, and Robinson's Crossing (2004), which won the Dorothy Livesay Poetry Prize in 2005. Zwicky was also shortlisted for the Dorothy Livesay Prize in 1999 and 2006 and the Pat Lowther Award in 2006. Her work has received critical attention in Lyric Ecology: An Appreciation of the Work of Jan Zwicky (2010), a collection of meditations by fellow poets and scholars. Mark Dickinson and Clare Goulet, eds. Lyric Ecology: An Appreciation of the Work of Jan Zwicky; Jan Zwicky, Songs for Relinquishing the Earth, Wisdom & Metaphor.